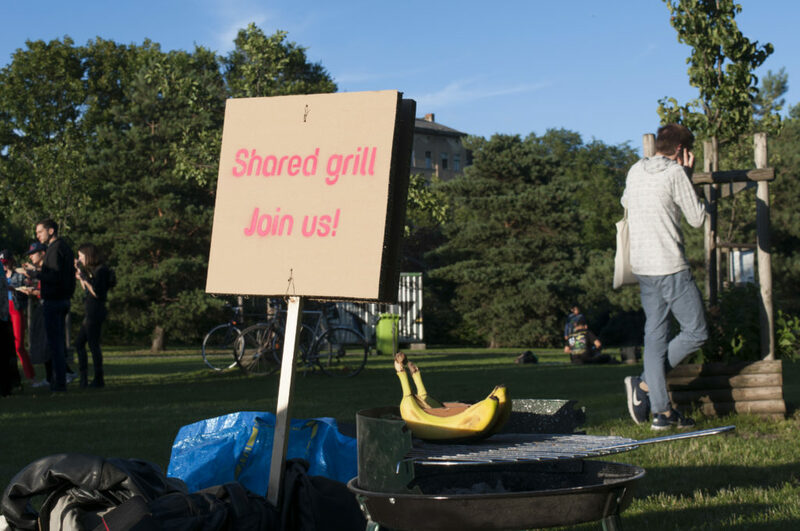 Shared Grill- first experiment – REGENERATE ! 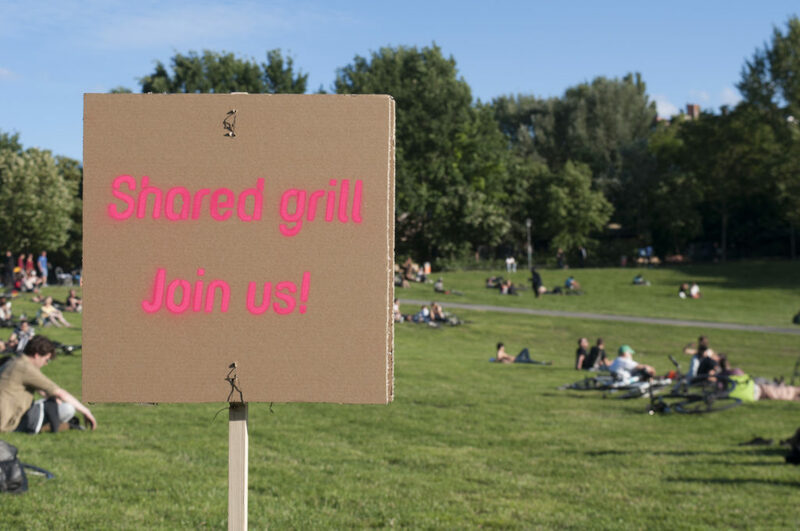 For our experiment, we created a sign that said “Shared grill, join us!” to see if others would be willing to join in using our grill. 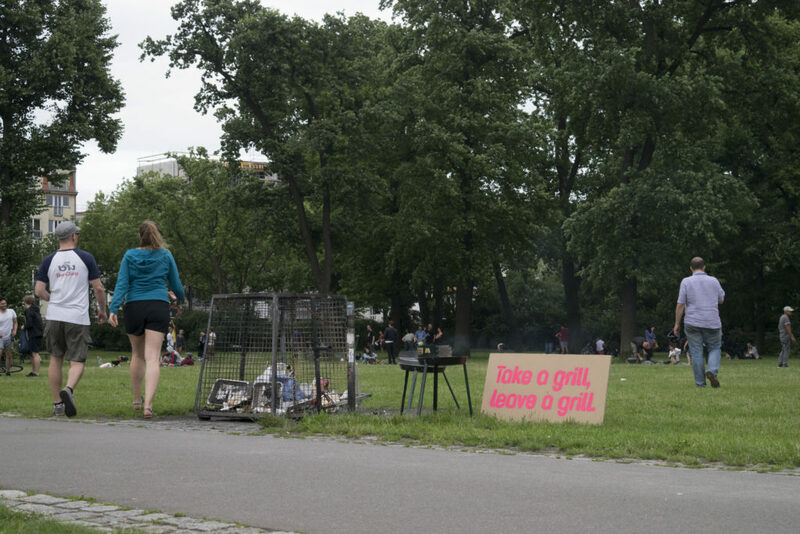 For the second part of the experiment, we created an orphanage for the abandoned grills by using a sign that said “Take a grill, leave a grill”. We were curious to see how people would react when we opened our bbq group. One group next to us asked if they could use our grill to cook their ribs, and we also got a thumbs up from a girl walking by. Half way through our barbecue, we ran out of charcoal. We decided to try trading an extra beer we had to another group for some of their charcoal. 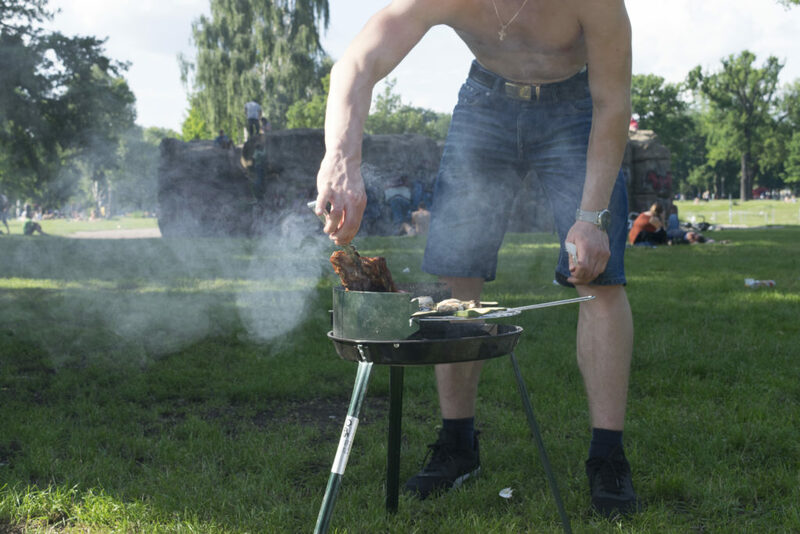 They were very kind and didn’t want to accept the beer – they let us use their charcoal for nothing in return. 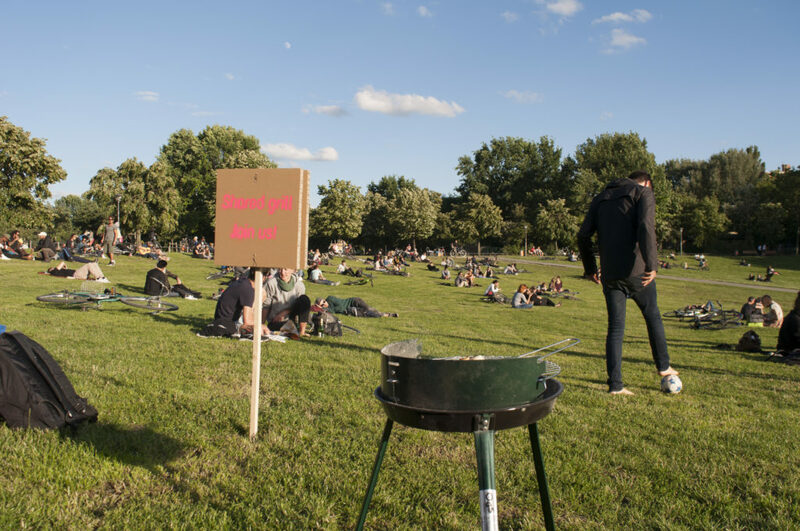 Aside from this, It seemed that during a bbq, people are already in their small communities. Not everyone is interested in interacting outside of this community to create a new relationship. Instead, could this be successful with smaller groups of one or two people? In addition, if people don’t know that this exists when they come to the park for the first time they wouldn’t know to bring food to the park. 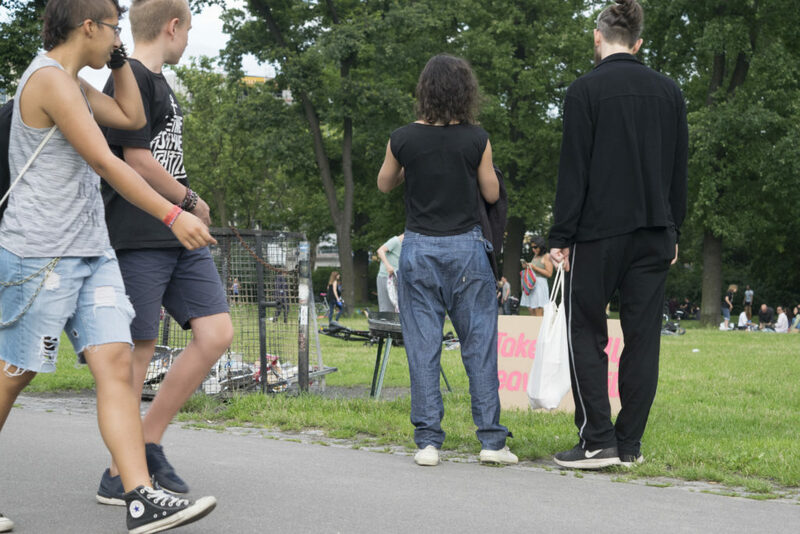 However, after this sort of system is permanently implemented in a park, people will be able to visit the park again knowing that they can bring food and use a shared grill. 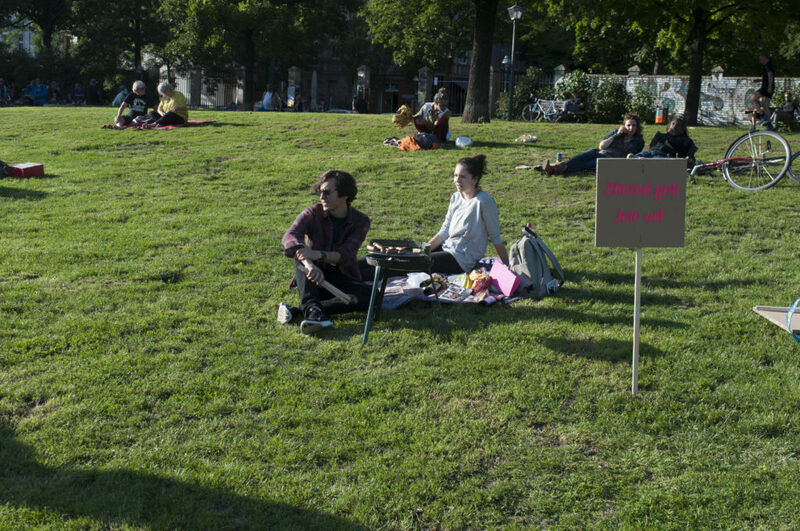 Initially, people passing by read the sign and seemed to be surprised and delighted. Many people even stopped to take pictures. 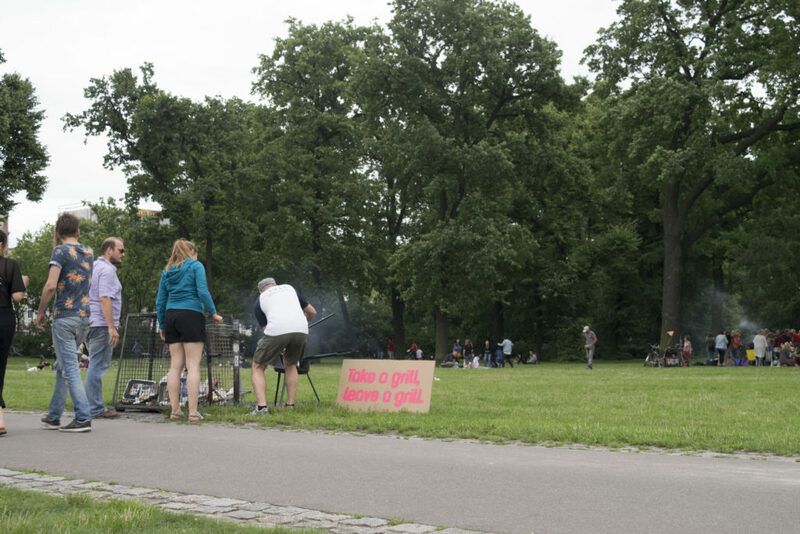 In this park, there is no easy way to dispose of hot coals. Most coals are thrown in bins with other trash which could start a fire if the coals are still hot. 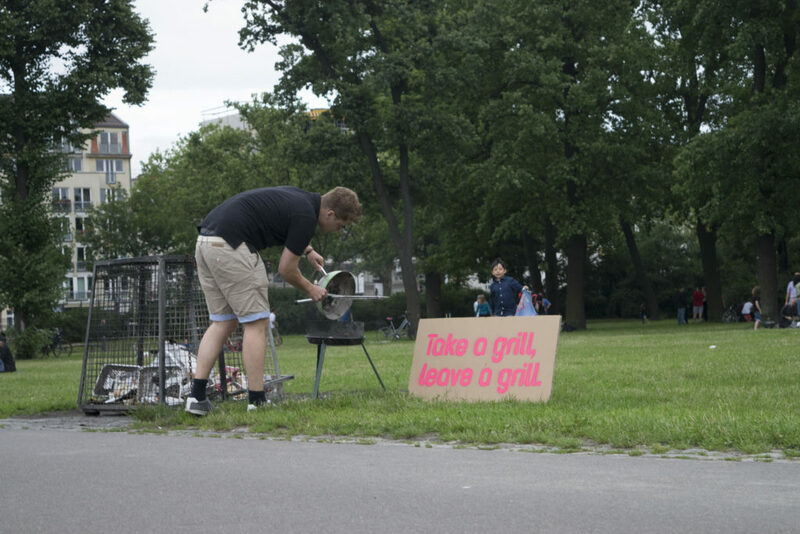 Some people emptied their hot coals into the grill that we left by the sign. One group did leave their grill here partially because they didn’t want to deal with the hot coals but also because they liked the idea that someone else could use the grill when they didn’t need it anymore.